When something works, let it ride. That is not only good Vegas advice (ok, so maybe that’s not really good Vegas advice), it also works for developing iterations of motorcycle jackets. In the case of the T-Jaws jacket from Alpinestars, the initial success has lead to new iterations hitting the market for the Fall of 2016. 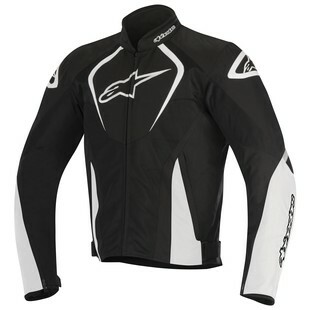 With the new Alpinestars T-Jaws WP Jacket riders get a lightweight outer shell that has been constructed with a combination of 450D and 600D materials. The T-Jaws WP Jacket also features a removable thermal liner to help retain body heat when the temperatures drop, as well as removable CE protectors at the shoulders and elbows. From the pre-curved sleeves to the stretch panels at the chest, the T-Jaws WP has also been designed with mobility in mind. Additional features of the Astars T-Jaws Waterproof Jacket include a waterproof internal pocket for electronics, zippered air-intakes at the shoulders for warmer days, and the ability to take both chest and back armor augmentations (sold separately). 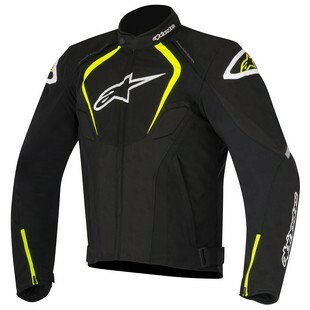 On the other end of the spectrum, for days when the weather is just too nice and warm, the new Alpinestars T-Jaws Air Jacket provides the same style, with a few key differences. Unlike the WP version, the T-Jaws Air Jacket loses the 650D reinforcements in the high-impact areas as it keeps a 450D outer shell throughout as a way to lighten the load even more when it’s hot outside. Another feature that the T-Air Jaws incorporates differently is the inclusion of a removable windbreaker liner, unlike the WP version that does not need one, as its waterproofing acts as a windblock already. Options. Astars offers them at a level that few others are able to, and it has proven a highly successful ability. Rain or shine, hot weather or cool and wet, there is an option in the T-Jaws lineup for everyone.